The primary attribute most-often cited is knowledge – subject matter expertise – typically in an industry. Pharmaceuticals R&D, CPG advertising, or healthcare technologies, for example. An alternative primary attribute is a technical expertise. Strategy development, policy development, organizational design, process improvement, strategic alliance management, project management, change management, are several common examples. Then a series of secondary attributes common to ‘great management consultants’ are described; interpersonal skills, project management skills, analytical skills, management consulting skills, intelligence, and curiosity. Industry knowledge is mostly gathered through experience. Technical expertise usually starts with training. Interpersonal skills are inborn and learned. Intelligence and curiosity are mostly nature but (some believe) can be nurtured. Project management and analytical skills are either trained and/or learned on the job. Then there are the core management consulting skills. By core we mean those activities every management consultant conducts on every project, and whose level of performance directly impacts the client’s outcomes. We also learned they are skills, methods, and techniques for which clients presume their consultants have prescribed approaches in which they are trained. However, from the conversations and observation of over 200 projects, it is evident this is rarely the case. Were you trained how to perform stakeholder interviews? 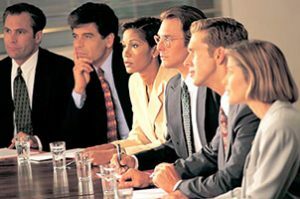 Some consultants are trained how to manage the interview and the interviewee, but from our research, no one has been trained how to determine which parts of the input to write down, how to write it down, then how to select from that content those statements which should become the raw material for the balance of the project. Instead, each management consultant has their own style of note-taking and their own process for discerning which content to take forward. Conclusions – the management consultant’s opinions for which the client waits with great eagerness. (To playfully plagiarize Sir John Gielgud in “Arthur.”) Who was trained on DOCA – gather Data, make Observations, draw Conclusions, suggest Actions – in a way that the advice doesn’t just sound right but is right? The Case for Action. 80% of the consultants we speak to understand its necessity and can describe it, but only a few document it as an explicit step in their consulting process and can explain how they create it. These are three of the thirty-three core skills identified that cumulatively determine the quality and outcomes of management consulting. One immediate way to becoming more competitive and conduct better projects is to possess these core management consulting skills equal to or above the standards of your subject matter knowledge and technical skills. Both clients and consultants are enjoying the consultant’s subject matter knowledge and technical expertise being applied more accurately, consistently, and efficiently. This topic is being referred to as consulting process excellence, going beyond methodology into the specifics of how-to. Perhaps you are an undergraduate or postgraduate early into your career at a brand consulting firm, or already an experienced senior consultant. You might be a professional who went from industry to an existing consulting firm or started your own. 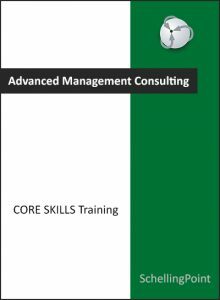 In each case, formal education in the core management consulting skills is now available. PS If you either correctly identify the intended omission in my consulting logic model above, or identify a fatal flaw which I would only admit to privately (! ), a discount to the core skills training has your name on it. Hi Michael, that’s an interesting visualisation but I’m struggling to understand it. Are the activities intended to be sequential from “scoping” to “governance”? “Conclusions” is the fifth point and is followed by “Triaging” of which I have no idea what you mean by that. Maybe “Conclusions” is “preliminary findings” and “triaging” is “prioritisation of options” and then you get into workshops with stakeholders “facilitiation” and “alignment” and then into an action plan “solutioning” and “planning”? Thank you for this detailed question and for sharing your thinking. Yes, the stages are sequential. Perhaps an arrow would help the graphic. And they are not traditional. My colleagues and I looked at over 200 projects conducted with and without management consultants. When we filtered out what made each unique – strategies vs mergers vs process reengineering vs joint ventures, etc., Fortune 25 vs mid-size vs early stage venture vs government vs non-profit, then growth vs decline, local US vs global, and several other attributes which made each unique, a single meta-consulting process surfaced. I use the process term intentionally, as we looked at the detailed steps of the consulting process. This was going down a level deeper than each consulting firm’s methodology, to the task level. That is where we identified the 33 tasks which we have since learned management consultants are not trained to perform, so conduct them with an individual approach that creates client results variable by individual consultant. i.e. Three consultants from the same firm will produce three different outcomes for the same client. Which is the right/best one? By going to the end of the consulting process and explicitly defining the attributes of a quality consulting output, (my previous blog), we could then ask how each of the 33 tasks should be conducted to support attainment of those attributes. In doing so, this also surfaced how to streamline/reengineer/transform – pick your preferred term – the meta consulting process to make it most efficient and effective. Triaging is a consequence of that, a step which, as you point out, is unfamiliar to any of us brought up in the traditional 1960’s era management consulting models. Another point is the hypothesis. You are correct, this traditional consulting step does not exist. Instead, the qualitative and quantitative discovery plus the conclusions stage produce the answer. Our findings are that the answer being surfaced rarely validates the consultant’s initial hypothesis (which we ask them to form but not share, so, too, the client’s.) Rather, this modified consulting process is producing an answer that is unexpected but endorsed by both parties as accurate. This is leading to easier implementation and stronger outcomes sooner. A third comment is that while alignment is illustrated later in the process, the first alignment activity involving objectively and directly measuring alignment occurs in the discovery phase, to pinpoint the necessary conversations. That change is based on the research into alignment my partner and I conducted in 2005 to 2008 and now teach at business schools. Awareness of the two categories of alignment, four types of alignment, four states of alignment, three reasons for misalignment, and other factors related to alignment, are leveraged in several of the stages. I hope this answers your questions and observations about the model. As external validation, you can see testimonials on our website from CEO’s who no longer want to use the traditional approaches and consultants who won’t switch back once trained. If you have further questions, please let me know. You have a strong management consulting resume and are well placed to question our findings and proposals. Thank you for taking the time to answer my question and clarify further. It’s very interesting to consider how consulting process excellence can result from better training in core skills and reduce variability between people. I’m thinking about how desirable that is, for both the consultant and the client. Is the desired reduction in variability between different good answers or between good and not so good answers? My impression is that you are aiming to reduce the number of not so good answers. My experience is that consulting is a very personal, human activity, and the outcome depends strongly on the person doing it, even if (s)he has been trained at the same firm and uses the same process steps. The drivers are differences in skills (analytical, technical, interpersonal), interests, focus, creativity and effort. It’s a bit like having three people paint an apple – we will get three apples, and they will all be different. And over time, those of us who paint apples that clients like get asked to paint more apples! I applaud your efforts to improve consulting skills and will follow your work with interest. It’s always good to work on our skills and learn new things. Your reply gets to the heart of this topic very quickly and warrants a response. Yes, management consulting can be very personal, as can being a doctor, surgeon, or a financial advisor. These professionals all have a direct impact on the health and wealth of their customer/patient. So what makes them qualified, what makes their diagnosis, reasoning, conclusions and suggested actions correct? Experience doesn’t necessarily equate to expertise. This is why physicians undergo primary skills training and certification before being let loose on patients. In the case of management consulting, any decent management consultant will collaborate with their client to assemble goals and plans that are rational and compelling. However, we have discovered this leaves room for inaccurate and incomplete. i.e. Just because they sound right doesn’t mean they are right. To your essential question above, are all three good apples, or are none to all of them bad when eaten? We have seen first hand on many occasions, across a broad range of smart, intelligent, accomplished consultants, with extensive training in strategy development or some other discipline, where they are conducting steps that look right but lack ‘technical integrity’, to use the academic term. This is through no fault of their own; they were just not taught how to conduct some key steps in management consulting, steps our research surfaced as impacting the quality of the apple. Hence labeling them the management consulting core skills. The validation seems to be mature, experienced management consultants being trained and valuing the training. Plus, I now look back on my management consulting, and despite believing I was the next Cezanne, see how my apples could have been so much tastier, healthier and less expensive. Skills 28 and 29 address issue analysis; Removing Barriers and Preventing Negative Side-Effects. For example, in chartering an e-reporting hub across 8 hospitals and a Blue Cross, the stakeholders had 16 shared objectives, but the consultant surfaced 29 concerns why it couldn’t work. These were each validated and mitigated, using the two advanced consulting skills. This allowed the hospital and insurer executives to commit to the project confident it was viable. The system went live on time and the hub grew to 220 member hospitals over 4 years.